Hello. This build is my second official computer build, but my first build posted on pcpartpicker. The purpose of this build is for my brother to use for getting his Masters degree in Library and Information Sciences; however, he does enjoy PC gaming quite a bit, so a great video card was a must. His optimal budget was $600, but he had financial leeway so that I could find the best parts with the best deals. Thankfully, there was no hiccups in the building process of this PC. Sorry about not including pictures during the building process of the build, we both were a little too excited to stop to take some pictures. Hopefully in the future, I can add some photos of the PC in his setup. Also, I do realize that when I took pictures, I had the SSD sled incorrectly positioned. It has been fixed. CPU: I definitely knew going into this build that I wanted my brother to have an Intel processor, preferably with four cores. He wasn't going to be doing simple web browsing or word documenting on this PC. He needed something beefier. But there was not enough justification to spend extra cash on an i7, but I wanted this PC to be easily upgradeable in case he suddenly did require the extra power. 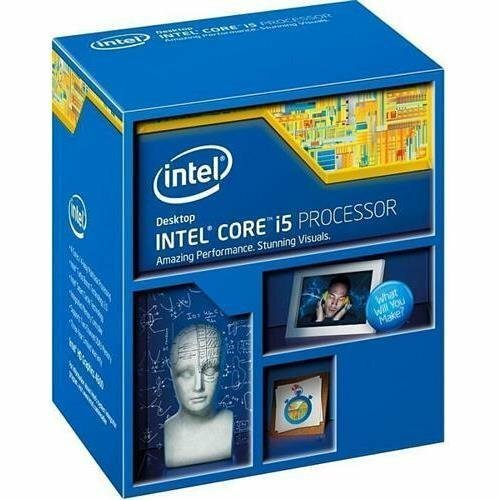 I also chose a locked processor for a motherboard that supports overclocking mainly because I got such a great deal on this i5. I did some price match, coupon discount wizardry to buy this processor brand new, as cheap as it was. Motherboard: I chose this Motherboard for four main reasons. First, it supports the processor I chose and also supports flashing the BIOS to allow Haswell Refresh processors. Secondly, the motherboard allows overclocking of the processor (which I can't do with the current processor obviously) and I can enable the XMP profiles on the RAM purchased. Third, this motherboard supports SLI which will enable my brother for easy upgrading in the future if he wants some more GPU juice. Lastly, this motherboard was heavily discounted, which was very appealing to me. As an added bonus, it comes with the NFC hub. Even if you don't use the NFC features, it's still a USB 3.0 hub that you can stick on your desk for easy USB 3.0 connections. 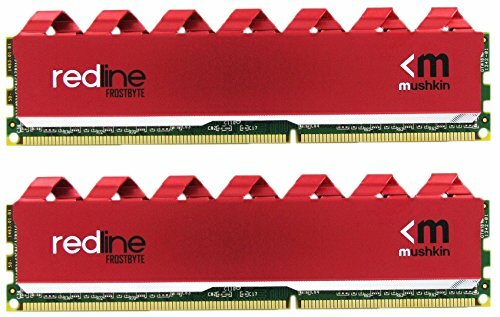 Memory: I chose this RAM because it was 8gb, right in that sweet spot for optimal gaming performance and just general computing. I didn't get a special huge discount on it, but for being CAS 9 and having a speed of 2133, $50 is hard to beat. Also, color was not a huge factor due to the build not having super bright LEDs lighting the inside of the case. Storage: It's almost foolish nowadays to build a new PC and not include an SSD. The overall benefits of one greatly outshines the increased price per gigabyte of storage ratio. 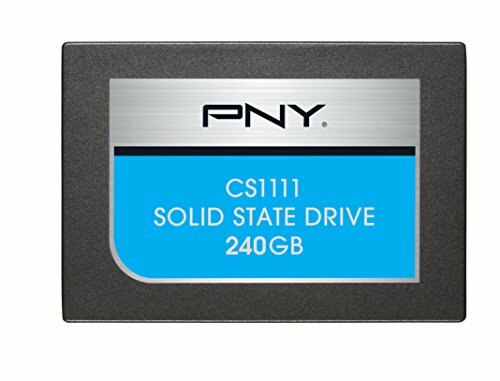 However, I did manage to snag this PNY SSD for quite the deal. While it may not be Intel or Samsung SSD speeds, for someone who never has had the benefits of an SSD in a system, the difference in speed is virtually indistinguishable. I also wanted him to have 240gb of storage space because even though a 120gb SSD would've fit the budget better, those fill up way too fast with programs and Steam games, in my opinion. Video Card: The only place my brother has played Steam games on Very High settings has been on my Home PC, which features a GTX 970. He definitely wanted one in his system, or at least a video card that performs very similar to a GTX 970 (780ti, r9 290, etc.). He will be playing on a 1080p monitor, so this GTX 970 should give him plenty of time before he needs to upgrade to possibly an SLI setup, or even a new video card. I bought this GTX 970 at such a cheap price through EVGA's B-Stock program, which sells video cards at discounted prices due to their slight cosmetic deficiencies (can be seen in the close up picture of the video card). They come with a 1 year warranty, so with the budget I was given, it was a no-brainer to buy this video card and add it to the system. Case: I have previously built in Corsair cases, and I love their setup quite a bit. This case is no exception, except for one small detail that I did not notice before purchasing the case. I love cable management, so you can imagine my dismay when I realized that there was no cutout in the upper left hand corner of the case to route the CPU power cable through. I tried my best to disguise it, and it is completely invisible from outside the case looking through the window. This case does look quite awesome. 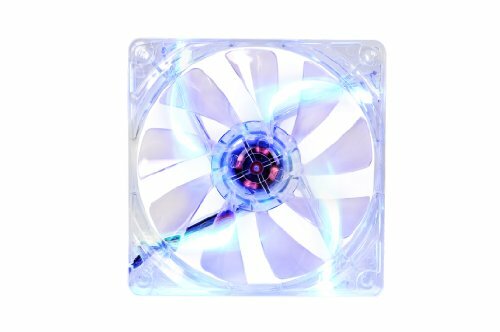 The included fan is very quiet, and the fan LEDs are not too bright. Overall, I would build in this case again, but if I had a slightly bigger budget, I would probably go for the Corsair 200r because I just love that case. Power Supply: The power supply is a very important part of a PC build, and I see too many people building PCs with unreliable power supplies that could lead to complications down the road. 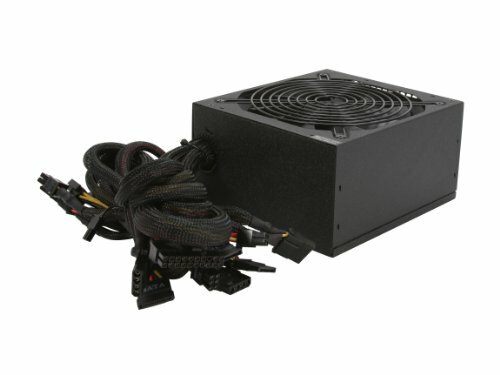 I limited my search for the right power supply by only selecting from power supplies that were on a list of reputable power supplies (a quick Google search can find the list). Once I found one that had a nice discount on it, I pulled the trigger. It also helped that this power supply was 80+ Gold Certified. Now it isn't modular, but I value performance, reliability and price over looks and easiness of use. Plus, I like a challenge when cable managing. Case Fan: The case only came with one Corsair red LED fan that is setup as intake, so I took an old Thermaltake fan I had at home and set it up as an exhaust fan. The blue LED clashing with the red LED looks pretty cool. I was pleasantly surprised. I spent countless hours in total looking for deals on r/buildapcsales as I was building this PC. Building a powerful PC as I did with the budget given was definitely a challenge. But it never seemed like work because I love PCs and I love a good challenge. All my savings came from price matches, coupons, discounts, or mail-in-rebates. This PC, if currently built, would cost around $900 without discounts, so I ended up saving my brother around $250. Thanks for looking at my build and reading my book of a description. Cheers. Nice! you sound like a great bargain hunter! I hope your brother likes the PC, I sure think it looks pretty badass. Haha, thanks man, I do love great deals! I appreciate the compliment. You're a bargain wizard indeed. Sweet build! Sorry for replying so late. Thanks! Great bargains, great write up, pro photography, amazing cable management +1! Yeah, being patient for deals is hard, but it definitely pays off in the end. I definitely recommend checking r/buildapcsales to assist in your bargain hunting process. Good luck! Sweet build for the price. I especially like the pictures of your cable management; I myself am still a newbie to computer building, so seeing how you did your cable management gives me a better perspective on how it's properly done! GTX 970 for the price of a 280x? Awesome. 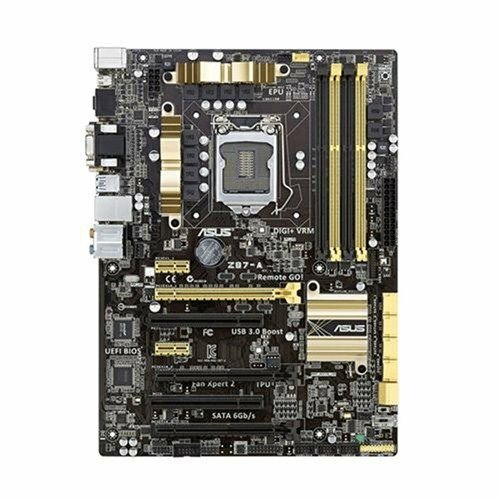 EVGA's B-Stock program is a great deal. Definitely would recommend it to others. Where the hell did you find that i5? I'm looking for one (hopefully overclock able) for around 150$ or less. If I can't find a good deal I think I'm just going to stick with the amd 6300 because I can easily overclock her to 4.3ghz with my cooler. I got the i5 from a Staples price match that also allowed me to use some coupons to bring the price down so low. What is the difference between The GTX 970 and the GTX 970 Superclocked+ ? The Cable management is off the charts great! I'm glad you liked it! I agree, black PCB looks tons better, but when building a budget system, looks wasn't my main priority.